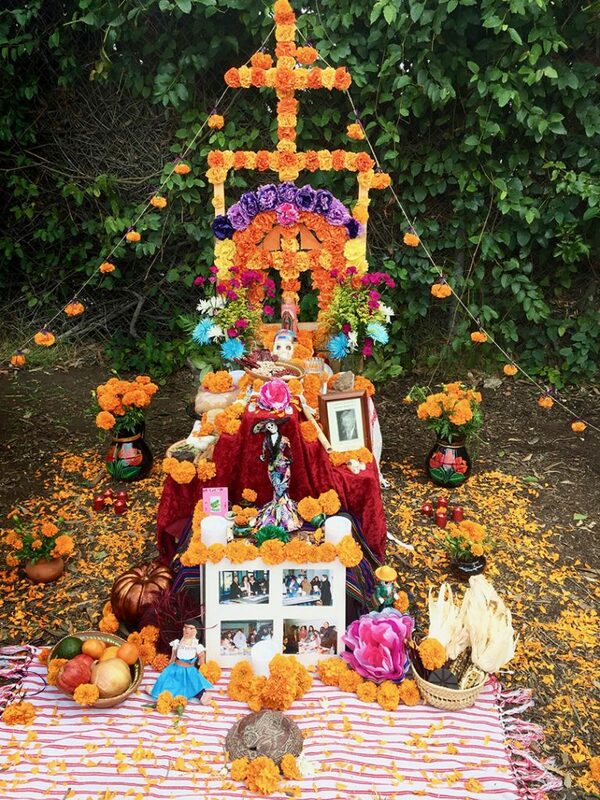 This was my first time participating in the San Fernando Day of the Dead Chalk event and it was a lot of fun. The event is quaint and in its 3rd or 4th year. I loved it and can’t wait to do it again next year. This was one of my favorite altares. There were so many beautiful ones. I love how colorful it was. 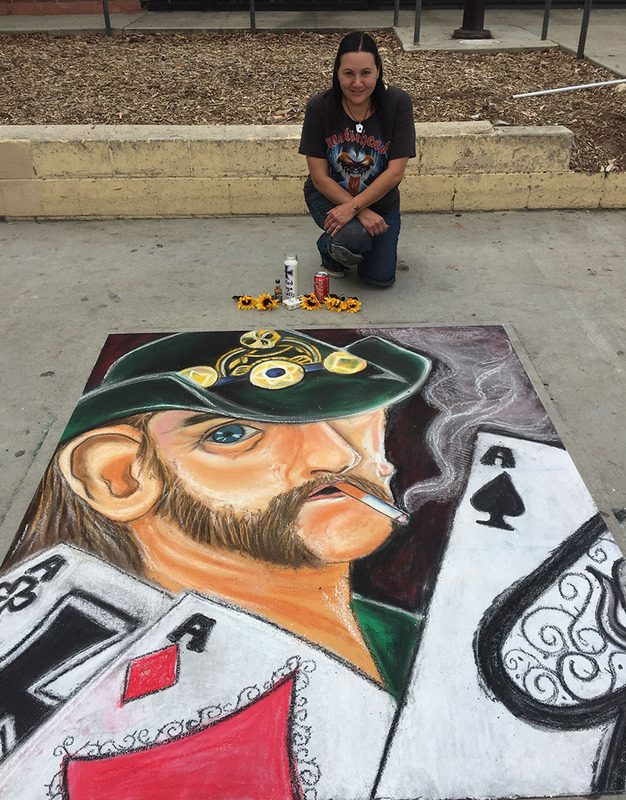 The theme of this year’s chalk event was “Rock and Roll Heaven” so naturally I chose to pay tribute to the legendary Lemmy Kilmister who passed less than a year ago. He was great. With my finished square. I made a little offering to him of a jack-and-coke and a cigarette. 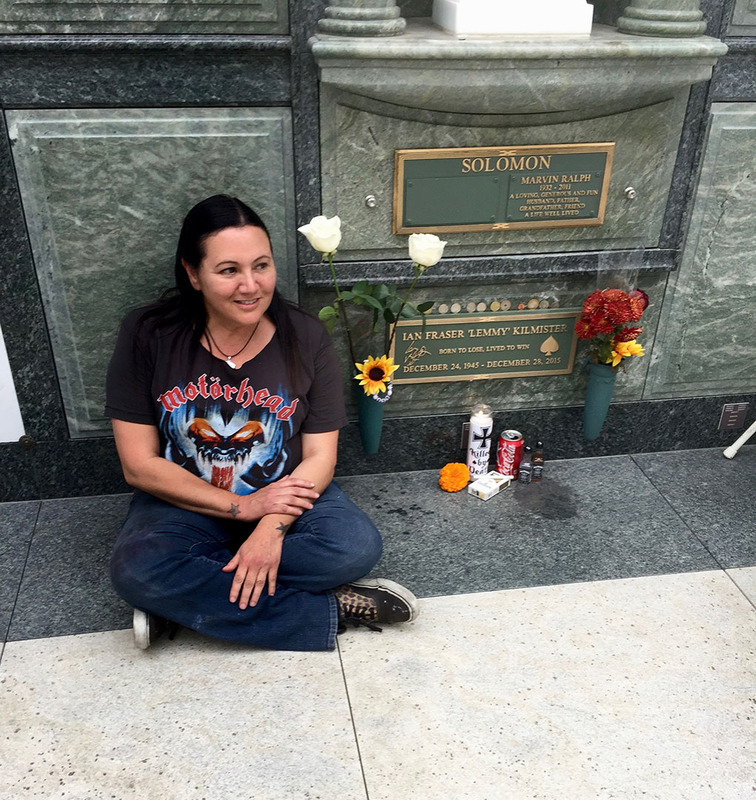 After leaving the chalk event, me and my friend Michelle stopped by Forest Lawn Cemetery and left our offering at his burial site. We light the candle, drank some jack and coke and put one marigold next to the cigarette. 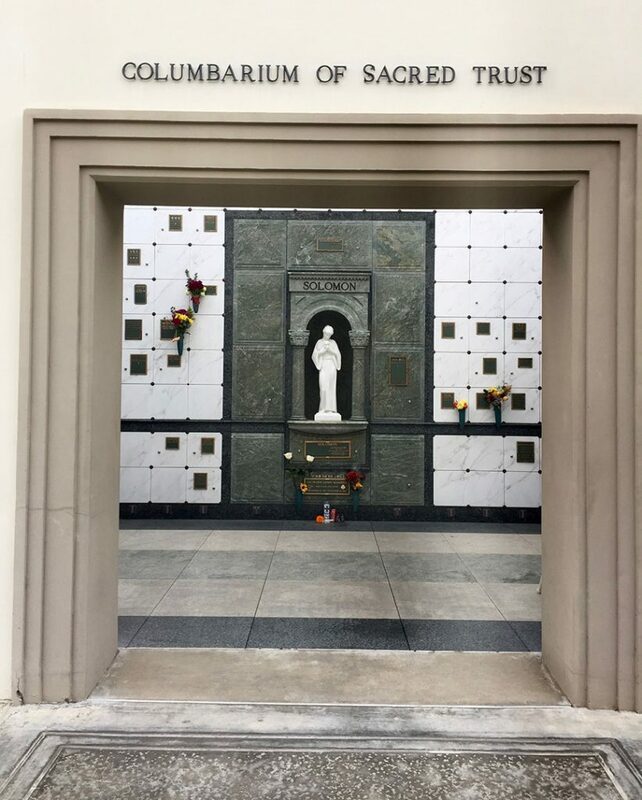 His urn was placed in the “Columbarium of Sacred Trust” section, under a beautiful statue. 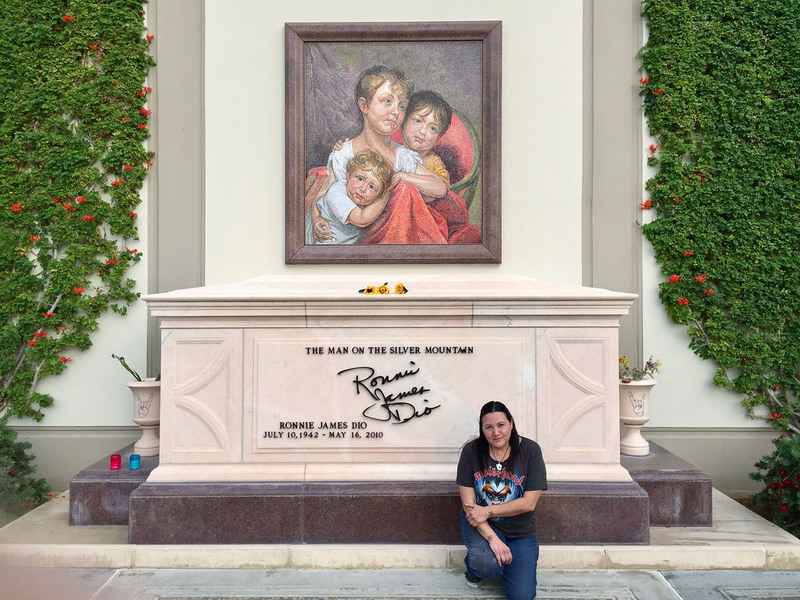 He is directly across the green belt from another legend, Ronnie James Dio. 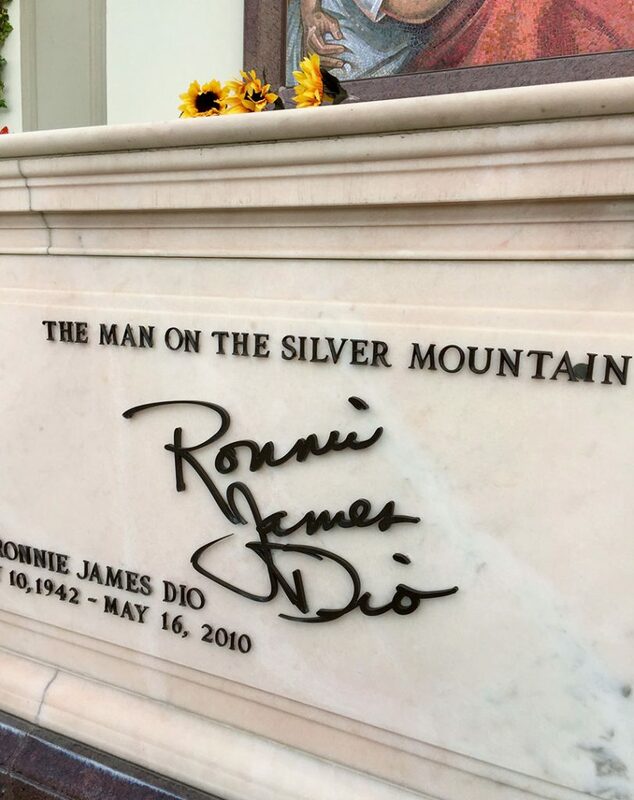 We couldn’t be in this cemetery without stopping by and placing flowers on Dio’s sarcophagus. 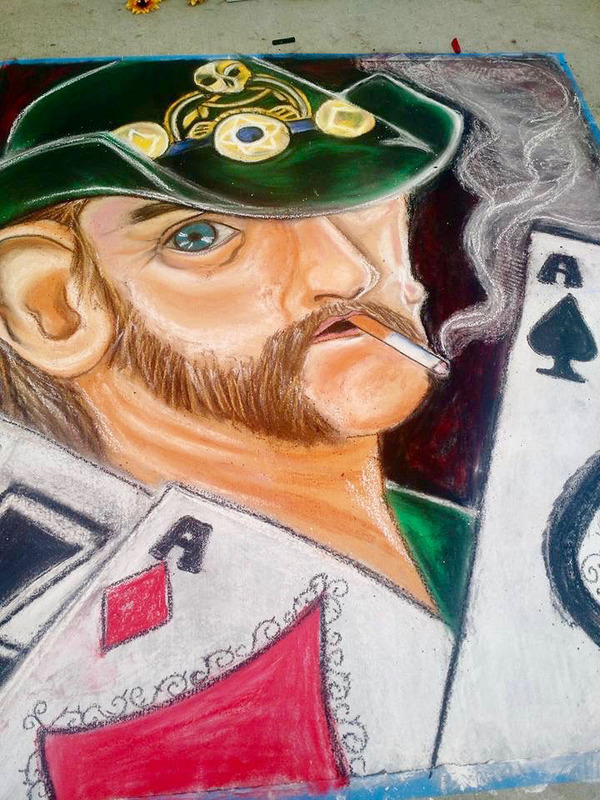 To see the squares of the other chalkers, look on my chalk blog here: girlwithchalk blogspot. Yesterday an american icon was laid to rest. 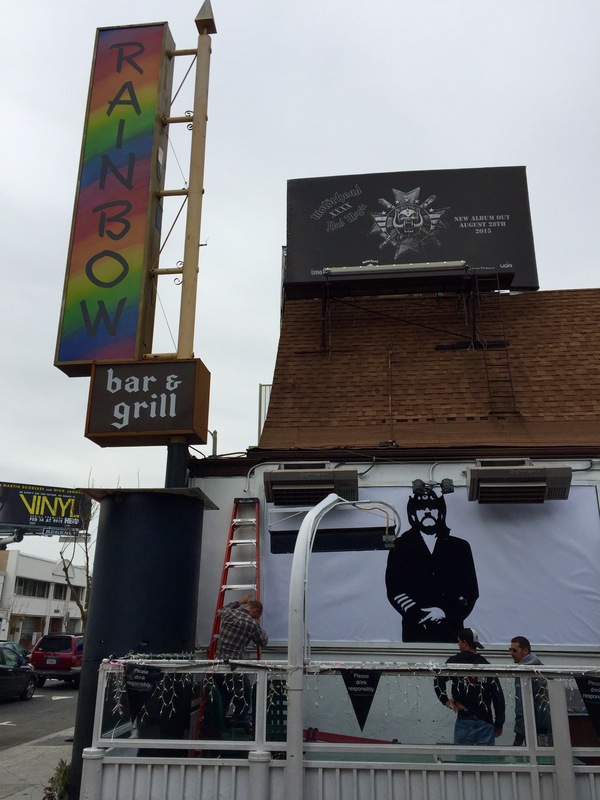 Motorhead’s founder and singer was memorialized at Forest Lawn in Los Angeles and at the Rainbow bar and grill on the sunset strip. 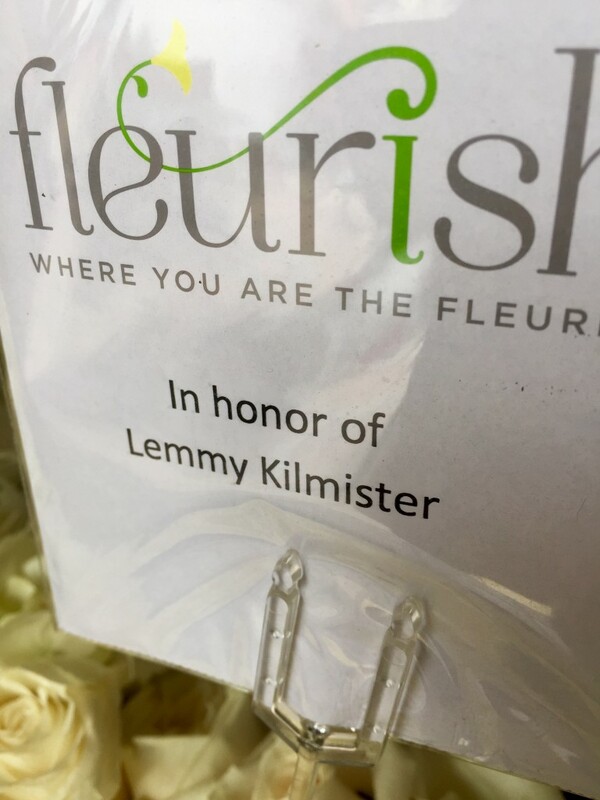 Good bye Lemmy, we already miss you and we will see you on the other side. 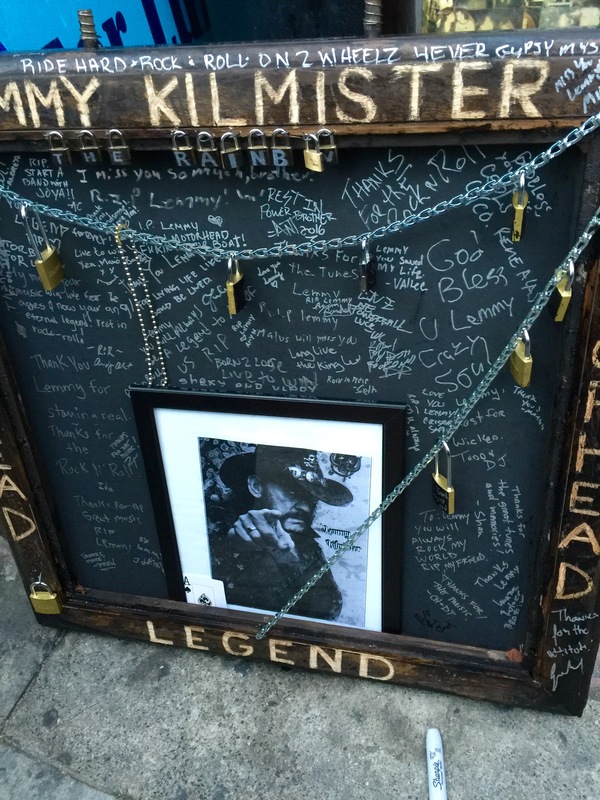 The Rainbow bar and grill memorial for Lemmy Kilmister. A beautiful gothic flower wreath arrangement for Lemmy. 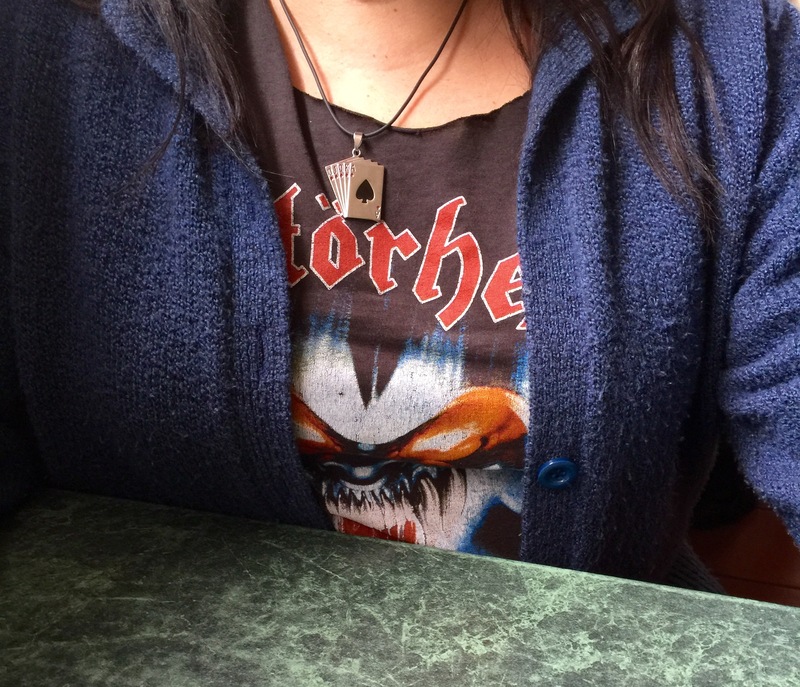 I had to represent by wearing my little “Ace of Spades” necklace. 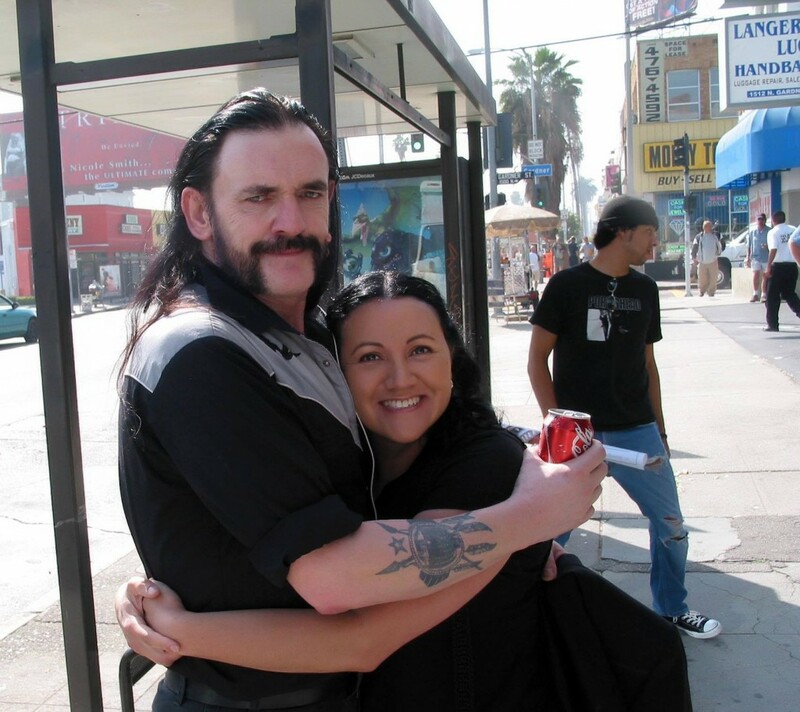 I have been left with the pleasant memory of having met the Motorhead frontman in Hollywood, CA. I spotted him walking up Sunset Ave. one day and I offered him a ride! He was the kindest and politest soul you could ever meet. I am grateful to have discovered Lemmy’s music as a teenager and his memory will live forever through his music.